We specialize in helping high risk merchants manage their payments from end-to-end. MerchACT has worked in the Illinois high risk payment processing sector for almost 15 years. While traditional banks often refuse to work with high risk merchants, we cater to these businesses. Our clients have a wide array of business models, including free trial, recurring payment, high volume and high ticket merchants. Merchants with these business models are often cast aside by traditional banks who will not take on the additional liability of high risk merchants. MerchACT partners with businesses who have been terminated or who face termination due to high chargebacks, unpredictable volume or other payments issues. We help these merchants reconstruct the payments operation from the ground up so they can grow and thrive. MerchACT has long-standing partnerships with a wide variety of banks all over the world. Our global banking relationships enable us to provide the best and most diverse options to our clients when it comes to merchant accounts. Our merchants aren’t inhibited as they might be with traditional payment processors who require volume caps or rolling reserves, in addition to high processing fees. 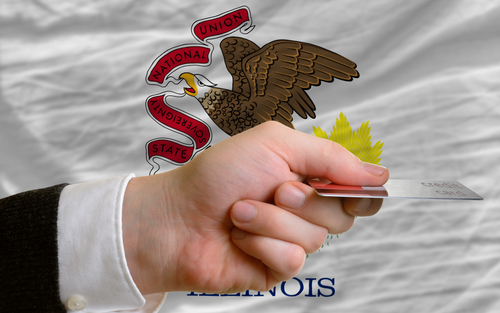 Our Illinois high risk payment processing solutions provide merchants with a streamlined way to manage payments. Fraud continues to grow both domestically and overseas. The chargeback threat is real for all card-not-present merchants and is a particularly sensitive issue for high risk merchants. Our Illinois high risk payment processing solutions help you reduce chargebacks, maintain healthy standing with your merchant bank and create a road map for handling chargebacks in the future. High volume merchants, like those who operate in Direct Sales and MLM, often face a conundrum. They strive to grow the business, but are punished by traditional merchant accounts that limit volume and penalize increases. Once a business begins to process transactions beyond the initially agreed upon volume, they face additional fees and even termination. MerchACT works with high volume merchants to get faster funding times, lower rates, flexible underwriting, and risk management. We work with both domestic and foreign banks to provide you with flexible options that allow you to maximize profits. Many merchants in need of Illinois high risk payment processing solutions are also looking to expand their business across U.S. borders. International expansion requires a thorough understanding of foreign currencies and the preferences of local shoppers abroad. MerchACT works with merchants who want to expand internationally to ensure they have a reliable payments infrastructure in place. In addition to offering cutting-edge payments technology solutions, we also offer guidance on a wide variety of payments issues. We can provide guidance at every step of your expansion process. Our seasoned payments experts understand the intricacies of both domestic and foreign payments requirements and we can help you understand key considerations for expansion. MerchACT has been a leader in the Illinois high risk payment processing industry for almost 15 years. Our professional team of payments experts augment your in-house team and offer you additional resources to streamline payments. Our flexible suite of solutions can all be tailored to the unique needs of your business. We meet with you to understand your business model and payments needs and we craft a plan that works for your business. Whether you prefer to remain hands-on, or to hand-off the entire payments operation to our trusted team, we can accommodate your needs. Each client we partner with is different, and we work diligently to tailor solutions to meet each business’ individual needs. MerchACT offers ongoing management and support for your payments operations and is available to address issues as needed. We act as an extension of your internal team, so you can focus on the core business. If you’re looking for reliable, scalable Illinois high risk payment processing solutions, partner with MerchACT. We customize our solutions to meet your needs and can work with your existing bank or get you set up with one of our domestic or international banking partners. MerchACT’s custom high risk merchant account services are designed to help your business grow. We provide full-scale account support and can help you with every facet of payment processing.